First there was Shakespeare and his play MACBETH. Then came Dunedin author T.K.Roxborogh with her novel BANQUO'S SON. And now her latest tale - BLOOD LINES. In MACBETH, Banquo is murdered and his son Fleance escapes to his father's words, "Fly, good Fleance, fly, fly, fly!" BANQUO'S SON picked up Fleance's story, from his home in England with adoptive parents, to his falling in love with Rosie, returning to Scotland and finding his place in the royal family and ultimately becoming Scotland's new king. 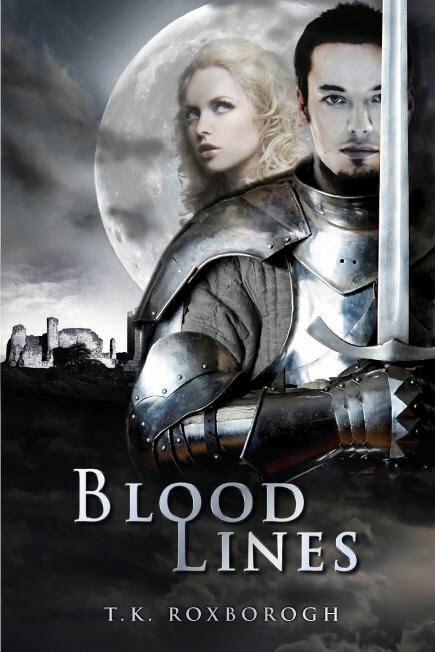 BLOOD LINES continues his story. Betrothed to Princess Rachel, despite his love for Rosie, his first year as king sees him wage battle with usurpers, set out on a secret mission to free his betrothed from her abductors, and learn that being a true monarch is about loyalty, honour and duty. The story opens with a stranger seeking wisdom from the three witches and takes you on an exciting ride from Scotland to Normandy via a Norwegian castle, then back to Glamis Castle in Scotland, for a royal wedding. On the way there are battles, love, torture, faithful servants and dubious English nobility. And just when you breathe a sigh of relief, a certain mysterious meeting reminds you that there is still another installment to Fleance's story.